The heretofore controversial wood chipper plant is a one step closer to becoming a reality in Edgefield County as the Department of Health and Environmental Control held a public hearing on the matter Tuesday, April 15. The public hearing, to decide whether or not the agency will issue the plant an air construction permit, was attended by nearly a dozen citizens and local governmental representatives, including County Council members Dean Campbell, Genia Blackwell, Rodney Ashcraft, and Betty Butler. Representatives from DHEC as well as a representative from Enova, the company that hopes to establish their wood chipper plant in the county, were also on hand to explain the permit process, answer questions, and take input from attendees. While there were several questions posed, there was no outspoken opposition to the plant. In fact, many who have voiced concerns over the plant in the past seemed satisfied with the answers their questions and concerns received. However, DHEC representatives did remind the public that DHEC will be accepting comments and concerns regarding the construction permit until May 1. 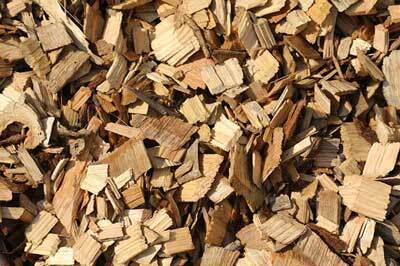 If issued, a construction permit will allow Enova to construct a wood chipper plant and begin start-up operations. The permit will establish emission limitations, require monitoring and record keeping by the company, and require stack testing and reporting. The public hearing was the forth of the five step permit process. The fifth and final step is issuing the permit. As to that final step, DHEC can either issue the permit, modify it, or deny it altogether. DHEC representatives said all comments submitted to them in regards to issuing the permit will be taken into consideration when making their final decision. However, many of the concerns that have been voiced over the wood chipper plant are some of the very issue that the DHEC permit is not allowed to take into consideration. Those concerns include noise, lighting, highway/railway traffic, plant location/zoning, and general opposition to the plant. To these concerns, Enova representative Ben Easterlin spoke and fielded questions posed from attendees. Mr. Easterlin said that while the plant will be situated on approximately 130 acres, the plant will be located on and primarily use only the middle seventy-five. He said the plant will be shielded from the roadway and any areas exposed at this time will be filled in by pines the company plans to plant. Mr. Easterlin said that most of the heavy noise from the facility will be contained inside the plant and said the loudest outside noise will be the chipper. He said lighting would be comparable or less than that of Urban Outfitters. “We are planning to shield it [the plant] as much as possible,” he said. He further stated there will be steam coming out of the stacks at the plant but said emissions “will not exceed legal amounts” and went on to say that they would be “very minimal emissions if anything” describing them as mostly water. Mr. Easterlin did concede there will be increased traffic on Hwy 121 as a result of this plant. “Traffic is going to be there. No doubt about it,” he said, but he called the 130 trucks a day traveling the highway as a result of the plant “negligible” because Hwy 121 is already a major state road. Mr. Easterlin also used the permit hearing as an opportunity to remind the public that the wood chipper plant is not a wood pulp facility. According to him, this plant will be a state-of-the-art wood chipper plant that will be using tried and tested technology as well as implementing new initiatives to make it a good neighbor. As he explained, this plant will be making wood pellets from yellow pine to ship overseas where they are used by many European countries as a replacement for coal. Enova currently operates three such plants in Georgia and plans to build this $140 million plant on the Johnston/Trenton line on Hwy 191. (In fact, because it is “on the line”, the plant’s address has yet to be determined.) This plant is expected to employ 65-75 employees, but, as Mr. Easterlin stated, there is a potential of the plant creating 250-500 indirect jobs in various service sectors. The plant plans to operate 11-12 hours a day for 7 days a week for approximately 50 weeks out of the year. There will also be trains leaving from the facility every 4-5 days to transport the pellets to a port in Savannah. When asked when he thought construction on the plant would begin if Enova is issued a construction permit, Mr. Easterlin said, “We would like to start tomorrow.” He went on to give the summer of 2014 as the more likely time for when construction might begin. It is expected to take approximately 2 years for construction of the plant to be completed. If Enova is issued a construction permit, the company will then have to submit building plans and all pertinent permits to Wayne Collins, Edgefield County’s Director of Building and Planning, in order to receive a building permit from the county. Mr. Collins will examine the plans and make sure Enova has complied with all state and local regulations. If all of these matters are met, then Enova’s request for a building permit will be sent to the Planning Commission. They can either grant the permit or request modifications to the submitted plans. Due to a recent change in an ordinance, once they have met with and received Planning Commission approval, Enova may begin the building process; they will not have to meet with County Council for permission to build a wood chipper plant. It must be noted, too, that there will be no public hearing by the Planning Commission when issuing the building permit nor will there be multiple meetings or readings held by the Planning Commission on the matter. Additionally, because the plant is seeking to locate on property already zoned for industry, the Planning Commission can not take general opposition to the plant into consideration when issuing the building permit. DHEC is expected to make a final decision on issuing their construction permit a few weeks after the deadline for public comments. That deadline is 5:00 on May 1, 2014. Any public comments on the permit for Enova may be sent to Ms. Karen Lee, SC Department of Health & Environmental Control, Bureau of Air Quality, Engineering Services Division, 2600 Bull Street, Columbia, SC 29201. While all written comments must be submitted to the aforementioned address, citizens may also contact DHEC’s Bureau of Air Quality, which is overseeing this permit process, by calling 803-898-4315.